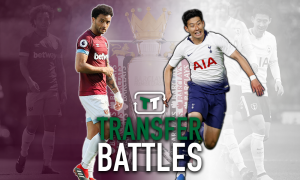 Trail Goes Cold On Moutinho But Heats Up For Pjanic | The Transfer Tavern | Where football transfer rumours fly or die! Tottenham Hotspur are set to turn their attentions to Bosnian Miralem Pjanic in January after failing to capture Joao Moutinho during the summer. Andre Villas-Boas is keen to add another attacking midfielder to the squad as he goes in search of a replacement for Luka Modric. Pjanic has reportedly been told he can leave Roma during the next transfer window, just 18 months after signing for the Italian side. According to Talk Sport the 22-year-old would be available for around £15m, a cool £10m less than the price Spurs agreed with Porto for Moutinho in August. 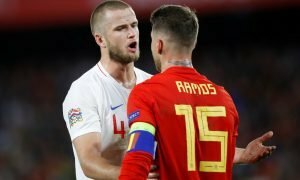 Despite falling out of favour at the Stadio Olympico, the Bosnian is still one of the hottest prospects in Europe and would be a good edition to the setup at White Hart Lane. With AVB preferring to play just one up top this campaign, Pjanic would fit in well as a link man behind the lead striker. Whilst Pjanic perhaps doesn’t have the experience or name recognition that Moutinho has, the economics of the move are perhaps just as appealing. In many ways Spurs would be gambling more on the Bosnian than his Portuguese counterpart but that also means that they have more to gain through his signature should he live up to his potential.